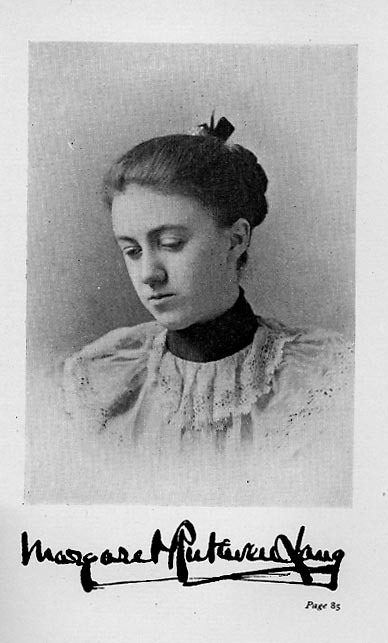 Amy Beach was a leading representative of the late nineteenth-century Romantic style cultivated by Chadwick, Foote, and others of the Boston school; yet she had no formal training as a composer and never studied abroad. In 1885 she was well launched as a concert pianist; however, her marriage in that same year, at eighteen, to Dr. H. H. A. Beach, a prominent Boston surgeon, turned her to composing instead. A self-taught genius, she mastered every form of composition from the symphony to the simple song. Beach’s earliest large-scale work, Mass in E-flat major (1886-89), was performed in Boston in 1892 by the Handel and Haydn Society, gaining her public recognition and the commission for Festival jubilate. Theodore Thomas led the Exposition orchestra’s premiere of Festival jubilate at the 1893 World’s Columbian Exposition in Chicago. Beach’s “Gaelic” Symphony, Op. 32, was the first symphony composed by an American woman and was premiered by the Boston Symphony Orchestra on October 30, 1896, under Emil Paur. She sent her violin sonata, Op. 34, to Maud Powell in manuscript, who wrote back, “[I]t is a fine, scholarly work . . . splendidly effective.” In 1897, Franz Kneisel (concertmaster of the Boston Symphony) and Beach premiered the sonata. It was played in Paris in 1900 by Eugène Ysaÿe and Raoul Pugno. Beach first performed her Piano Concerto in C-sharp Minor, Op. 45 (dedicated to Teresa Carreño), with the Boston SO in 1900. Beach’s works were characterized by technical mastery, spontaneity, and originality—all traits crystallized in the Romance, Op. 23, written for and dedicated to Maud Powell. Beach and Powell premiered the Romance at the Woman’s Musical Congress, held July 5-7, 1893, during the World’s Columbian Exposition in Chicago. It is now available in Maud Powell Favorites, from the Maud Powell Society. Read about the friendship between Maud Powell and Amy Beach. -- PDF extract from Maud Powell Favorites by Karen A. Shaffer, 2009. Margaret Lang was one of the first two American women composers, along with Amy Beach, to have compositions performed by American symphony orchestras. Margaret Lang’s mother, Frances Morse Burrage Lang, was an amateur singer and her father, B. J. Lang, the prominent conductor, pianist, organist, and composer and director of major choral organizations: The Apollo Club, The Cecilia Society, and the Handel and Haydn Society. She grew up in a rich musical milieu which included such lights as Dvořák, Gottshalk, MacDowell, Liszt, Richard Wagner, Paderewski — and Maud Powell. She studied violin and piano, and was especially gifted in composition, studying in Munich and afterwards, with Chadwick and Paine of the New England school. Her Dramatic Overture became the first composition by an American woman to be performed by a major American orchestra: Boston SO, Arthur Nikisch, conductor, 1893. Performances in New York, Chicago and Baltimore followed. Opera singers Ernestine Schumann-Heink, Dan Beddoe, and the popular tenor John McCormack performed her songs (over 200 composed, some for voice with orchestra). Edward MacDowell performed her song “Ojalà” at the Paris Exhibition of American Composers. Theodore Thomas chose to present her overture Witichis, Op. 10 at the 1893 World’s Columbian Exposition. Some 150 of Lang’s works were published by Arthur P. Schmidt, Oliver Ditson, Theodore Presser, and Breitkopf and Härtel. She stopped composing in 1919 and began to destroy all her orchestral works and much else. Recordings of Lang’s music can be heard on Youtube.